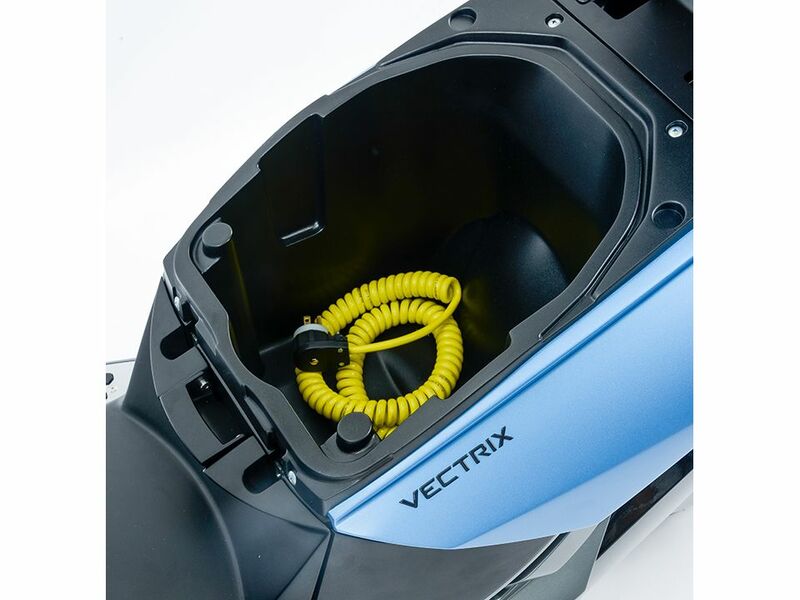 VECTRIX™ Tall Wheel Scooter, equivalent of 125cc with 16″ wheels is being designed to address both: consumer urban commuting and fleet needs for parcel/cargo. 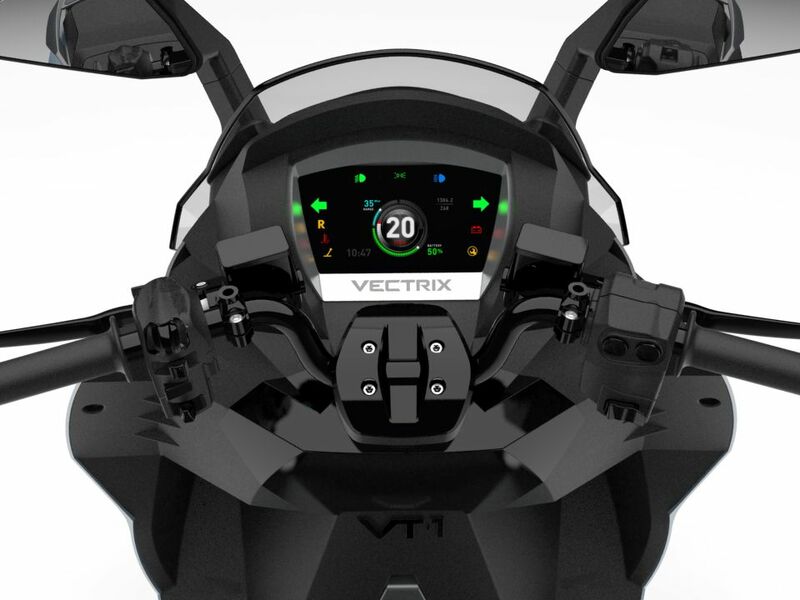 VT-1 as every Vectrix comes standard with our revolutionary Multi-functional Throttle technology, which can increase the range by up to 12%. 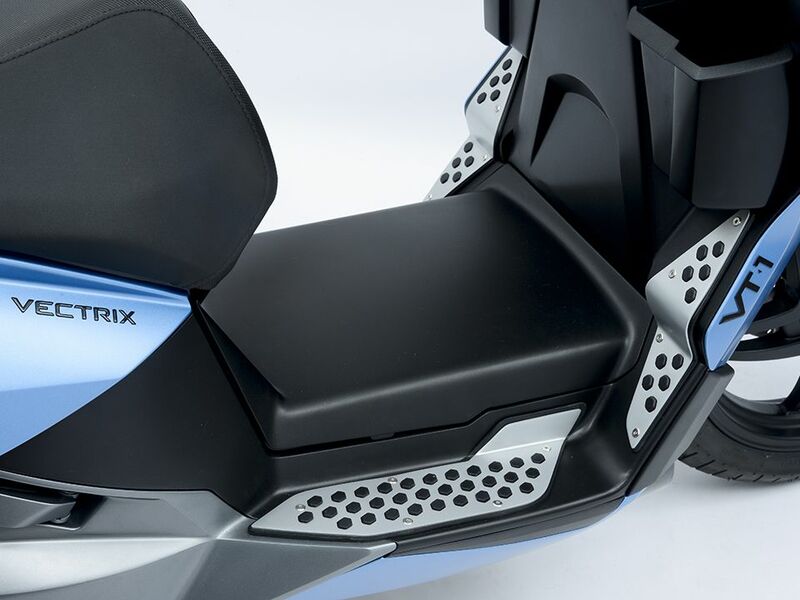 It is the only system of its kind in the world, which slows the vehicle down by reversing the polarity of the motor to recharge the batteries on the fly. It also provides a slow-speed reverse gear, which enables ease-of-movement in parking and tight spaces. 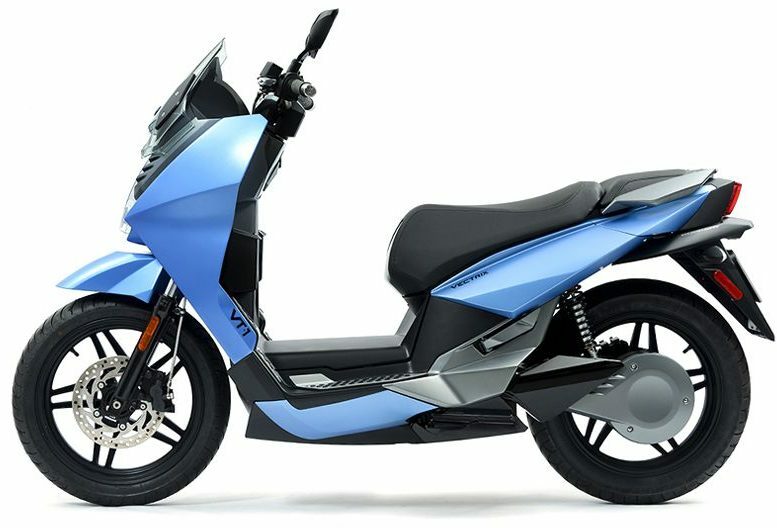 Equipped with very compact, lightweight 8kW continous and 11kW max power motor, VT-1 will perfectly suit dense urban traffic, max speed of 100km/h will allow use of motorways. 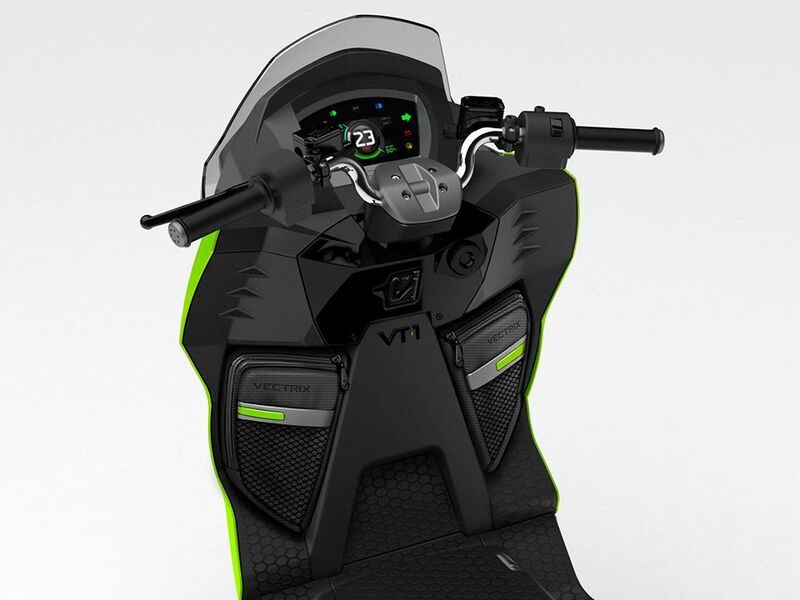 Future VT-1 will be equipped with removable, easy to handle batteries. 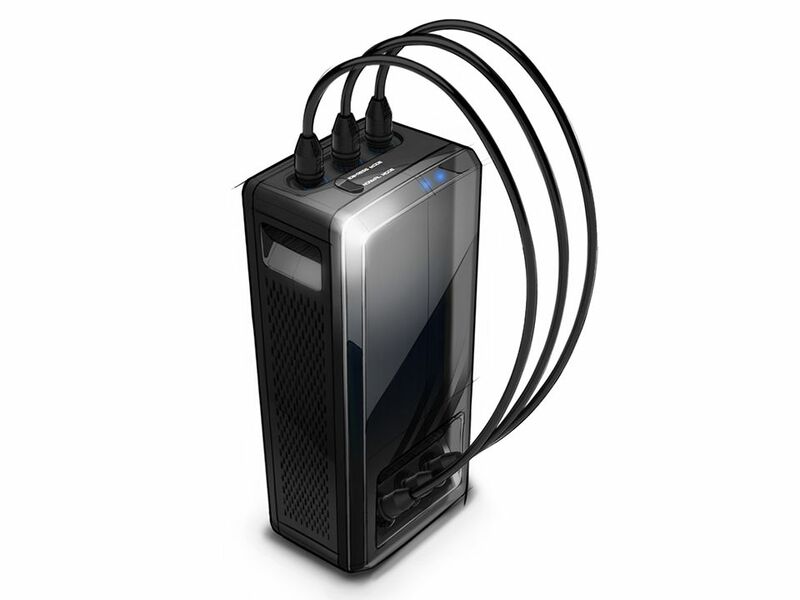 System will allow to use vehicle with 1, 2 or 3 independent modules. 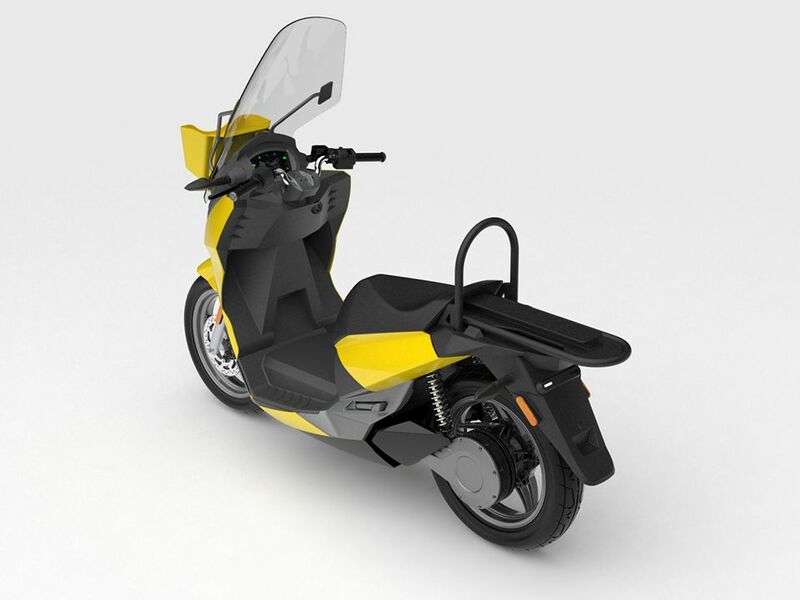 It gives the flexibility of carried energy storage – and range, easy to handle charging at home and office, possibility to use vehicle round the clock.